and certified to be accordance therewith. The Chair opened the meeting and welcomed the 60 plus Governors who attended the meeting. The Chair presented the report for the year which had been a challenge for all. About a year ago the Government indicated that all school would become academies by 2022. Although forced acadamisation was now off the agenda, full acadamisation is still the aim. To give an up-to-date picture ,last October,Govas organised , a Conference entitled “Education for All” to help Governors understand the full implications of academisation and to emphasise the importance of schools working together. We also saw the introduction of National Fairer Funding Formula,which proved to be not advantageous to many Stockport schools. In the present financial scene it is difficult to see how a new “fairer” formula can be introduced. Whatever happens it is important that schools need to spend money wisely and work effectively with other schools. -Working with others to promote and improve governance in Stockport. This year we have been more pro-active in providing support by putting on the Education for All conference last October and a conference about Effective Financial Management.We also worked alongside the LA to put on the Stockport Governors Conference. We continue to represent Governors on various committees and at meetings with the Primary Headteachers Consortium and others. He thanked members of the Committee for their contribution and encouraged anyone interested to apply for membership of the Management Committee. The Treasurer Report was presented. It showed how Govas is funded and how the money is spent. 4 existing members of the Committee had applied for re-election. Ian Roberts, S Foster,A Rogowski were re-elected for a further two years. J Evans was re-elected as a co-opted member. and emphasised the independence of the members of the Appeals Panel. of the Management Committee and our regular meeting with the LA. We are holding the GOVAS AGM as part of the Governors Conference on Monday 9th July 2018 which commences at 6.00 PM The Agenda and all relevant papers are attached. Please bring these along to the AGM. All Governors attending the Conference will have the opportunity to attend the AGM. Please use this part of the Conference to come along and let us know how you feel about the work of GOVAS and how it represents the interests of Stockport Governors. 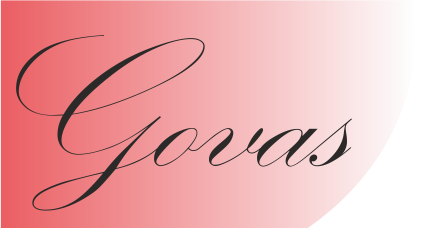 We would also be delighted if you would consider taking a more active role in the work of GOVAS by considering being nominated for the Govas Management Committee. Attached is a nomination form for membership of the Management Committee. Please read the note on the nomination form indicating regulations laid down for nominees and proposers. hand it in on the day at the AGM. Change to Constitution -Date of Annual General Meeting At present the Constitution reads:- There shall be an Annual General Meeting before the end of April each year. It is proposed to change this to:-There will be an Annual General Meeting in each school year. Normally this will take place in the summer term.